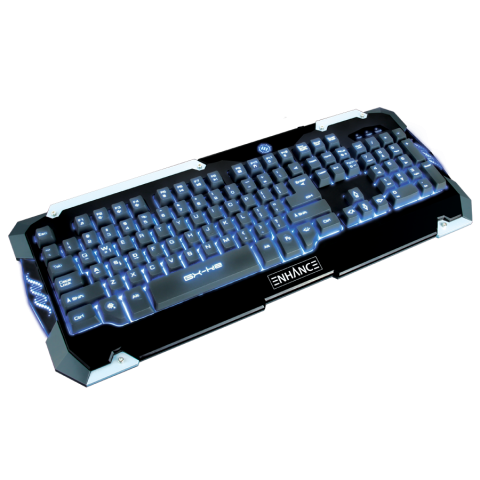 The ENHANCE GX-K2 comes equipped with 104 backlit precision LED keys that will illuminate your gaming setup when you're pulling an all-nighter! 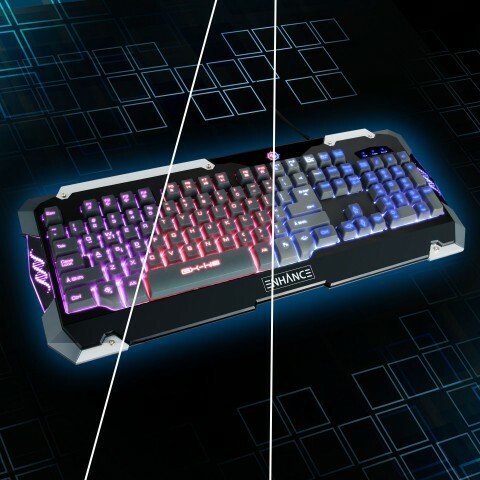 The colors alternate between blue, red and purple so you can customize them to suit your preference. 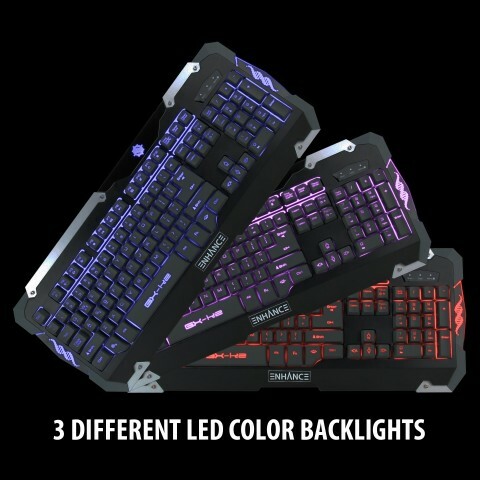 The brightness control allows you to adjust the colors by brightening, dimming or simply turning them off. 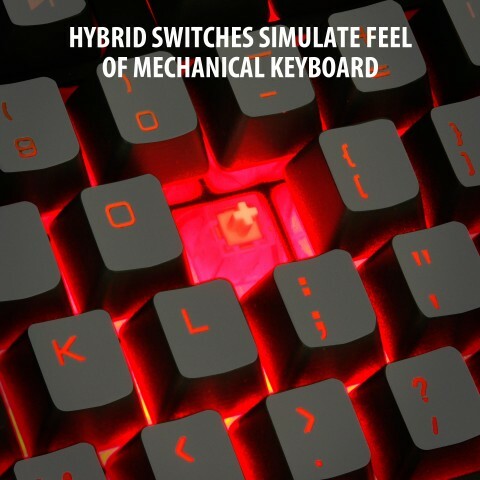 The hybrid switches on the K2 give the keyboard a tactile feel, similar to a mechanical keyboard but at a price that won't hurt your wallet! 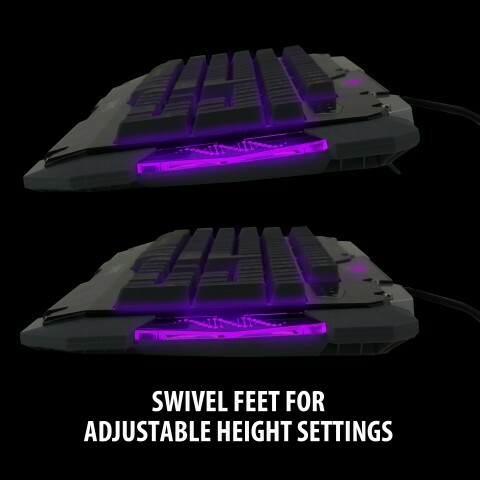 Built-in swivel feet let you adjust the height of the keyboard so your hands and wrists remain comfortable over long periods of typing or gaming. 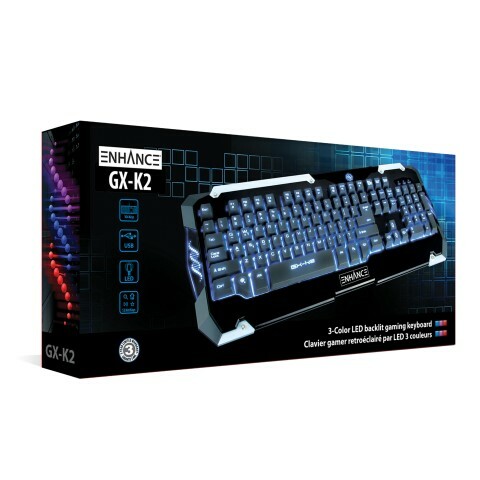 The K2 comes equipped with 12 conveniently located multimedia shortcut keys that let you control volume, media or access your email with the push of a button. 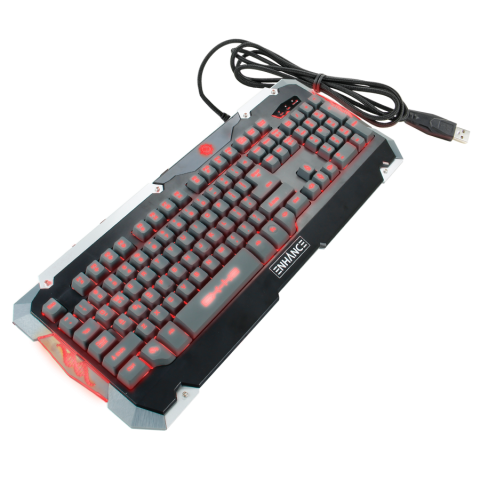 The keyboard is also armed with smart functions that let you map keys to your preference, including switching the WASD and arrow keys or locking the window key which will prevent interruptions during battle. 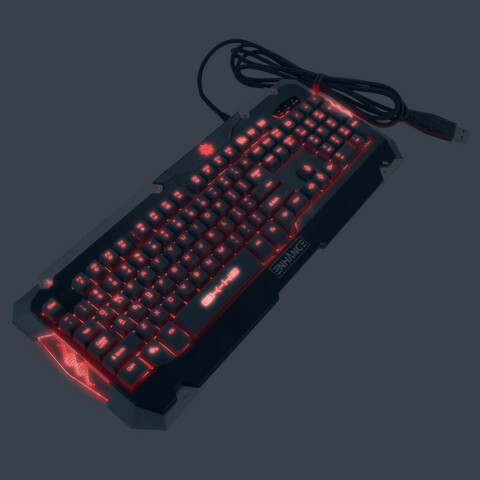 A 65 inch nylon braided cable and USB housing combine to provide extra-strength durability to withstand the wear and tear that comes from intense gaming. 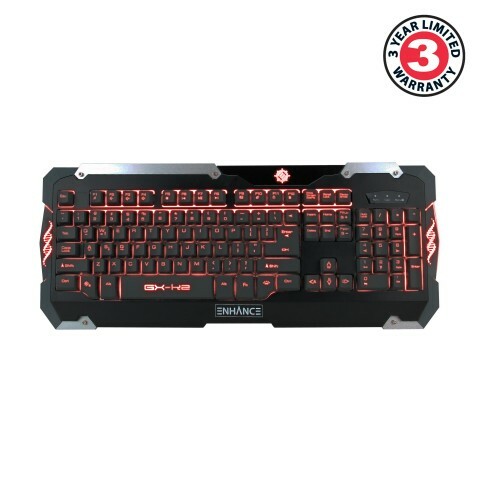 No software or installation is required. 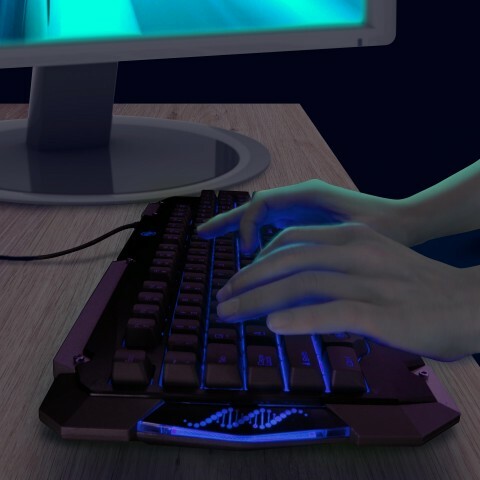 Just hook it up to your computer and you're ready to play!